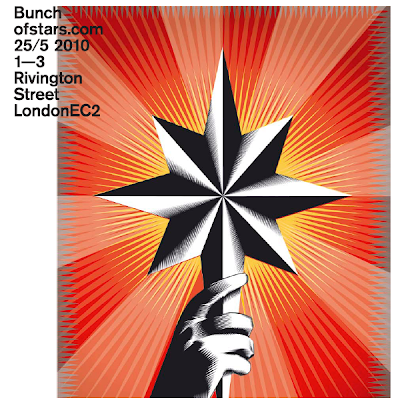 Stars seem to be a recurring theme at the moment for exhibitions. Tonight sees the the opening of a 'Bunch Of Stars' exhibition at the Red Gallery. Illustrators have been sought out from the furthest reaches of the globe including Guatemala, Iceland, Uganda and Indonesia to celebrate and explore the concept of how stars appear different depending on where in the world you happen to be gazing from. The stars depict a dramatic array of cultural influences, embracing nature, environment, folklore, history and visual arts.